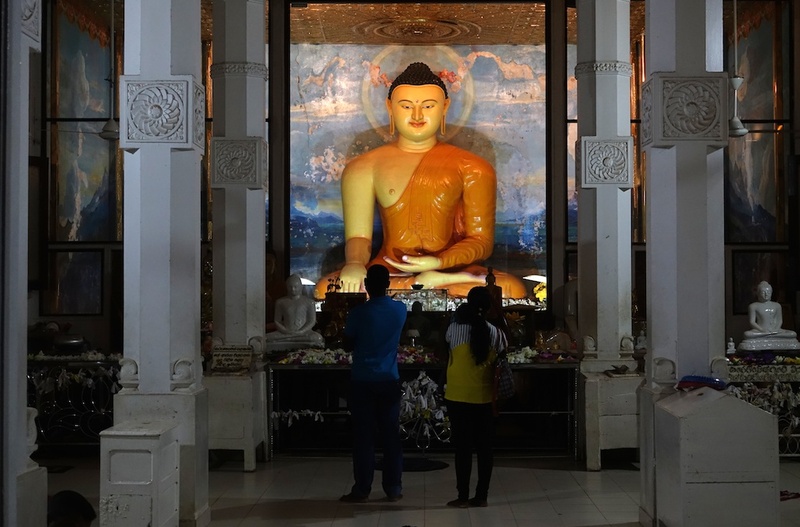 Pressured by Buddhist groups to enshrine Buddhism as a national religion, the constitution drafters have met the demands halfway by providing mechanisms in the new draft constitution to protect Buddhism. On Tuesday afternoon, 29 March 2016, the junta-appointed Constitution Drafting Committee (CDC) headed by Meechai Ruchuphan unveiled the finalised draft constitution. The fate of the draft will be decided by public referendum in August. One of the interesting features of the draft constitution is Article 67 on religion, which appears in Chapter 6, on the direction of state policies. The Article differs greatly from Article 79 of the 2007 Constitution which in brief states that the state shall protect and patronise Buddhism, the religion to which the majority of the Thai people adhere, and other religions, and foster good will and cooperation among all faiths to encourage good morale and the development of living standards. Article 67 gives extra emphasis to Theravada Buddhism, the dominant Buddhist sect in mainland Southeast Asia, which is followed by about 90 per cent of the Thai population. Last week, members of the National Network to Protect Buddhism and representatives of the Thai Sangha (Buddhist clergy), submitted a list of 100,000 names to Supoj Kaimook, Deputy Chair of the CDC. The group claimed that the list was collected from people who supported the campaign to make Buddhism the state religion and urged the CDC, then in the final stage of rewriting the draft constitution, to concede to their demand. The Buddhist group told the CDC then that making Buddhism the state religion would make it easier for the draft to pass the upcoming public referendum. In August 2014, the Thai junta, which sees Buddhism as a part of the Thai identity, approved a Bill to Patronise and Protect Buddhism. The Sangha Supreme Council (SSC), known in Thai as ‘Mahathera Samakhom’, the governing body of the Thai Buddhist clergy, and the National Office of Buddhism (NOB), the secular office under the Prime Minister’s Office responsible for promoting Buddhism, have unsuccessfully tried to propose the bill since 2006, but it was rejected by previous governments. The proposed bill says “Buddhism is one of the pillars of the Thai nation and is the religion to which most Thai people adhere. Therefore, Buddhists should be united in patronising and protecting Buddhism to make it prosper and enhance Buddhist principles and ethics to develop the quality of one’s life.” In addition to these vague sentiments, however, the bill will allow the SSC and the government to punish anyone deemed to threaten a narrowly defined version of Buddhism promoted by the authorities. For Sulak Sivaraksa, one of the founding members of International Network of Engaged Buddhists and a historian who is renowned for his criticisms of the SSC, the bill clearly shows the SSC’s desire to gain more prominence in Thai society. “This bill shows blind stupidity and lust for power,” said Sulak. “The Sangha Supreme Council is a very weak council. It doesn’t have its own identity. That’s why it wants to show that it has power, which is regrettable,” he added.